Creditor Proofing Corporate Funds - This post discusses how a Holdco can protect surplus corporate funds and how for income tax purposes, the transfer of funds via a dividend from your Opco to the Holdco is in many cases tax-free (connected corporations). 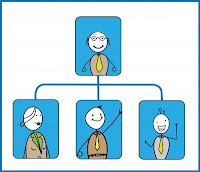 Should Your Corporation’s Shareholder be a Family Trust instead of a Holding Company? - This blog examines some “fancier” tax planning to not only creditor proof funds, but allow for possible income splitting and multiplication of the capital gains exemption. Corporate Small Business Owners: Beware; the Capital Gains Exemption is not a Gimme - This post explores the potential issues you may have in accessing the Capital Gains Exemption (“CGE”) including where your Holdco over time has accumulated too much cash and investment assets. Because the concepts discussed in the blogs above are very complex (even for accountants), these posts have led to numerous questions by readers. In reading these questions, people are typically confused by the interaction of creditor proofing, income splitting and accessing the CGE, especially where they already have a Holdco in place with significant excess cash and/or investment assets. Thus, I thought today I would try and provide a bit of a road map for using a Holdco. The main reason small businesses owners typically consider using a Holdco in the first place is to creditor protect excess funds earned in their operating company. Most people find the concept of creditor protection (transferring cash and other assets from your Opco to remove the risk of someone suing Opco and making a claim on those assets) simple to grasp and in almost all cases; it makes business and income tax sense. Thus, I am assuming creditor protection is a given when considering using a Holdco. Where you do not think you can sell your business (the value of your business is just personal goodwill such as in a consulting business) a standard holding company often makes sense. Where Holdco planning gets more complicated is when you want to ensure you have access to your CGE (while alive or when you pass away) and/or want to multiply the exemption and/or want to use your Holdco for income splitting purposes. The key concept to understand here is that; to access your CGE you or a family member must personally sell the shares of your Holdco (since you own the shares of your Holdco which in turn owns your Opco) and Holdco must meet various criteria to qualify for the CGE. If you have your Holdco sell the shares of your OPCO, there is no CGE, since it is a corporation selling, not an individual. If you currently own 100% of your Opco or own your Opco together with your spouse, you have a couple decisions to make before incorporating a Holdco. Again, assuming creditor protection is a given, you need to determine if you think you will be able to access the CGE in the future. If the answer is no, you will probably be fine with a garden variety Holdco (Holdco owns 100% of Opco) especially if you already own Opco with your spouse. Where you own Opco 100% personally and do not think you can access the CGE, you may want to give consideration to freezing (value of Opco is “frozen” at the current fair market value and you get special shares worth the frozen value) Opco and bringing your spouse in as a shareholder in Holdco. Again, in this situation, you would probably just use the typical Holdco/Opco structure with Holdco owning Opco 100%; however, you would have to concern yourself with ensuring you are not subject to punitive income tax rules, for which you would need income tax advice. Where you think your corporation is saleable to an arm’s length person in the future, the standard Holdco/Opco structure may not be appropriate, as damming cash in your Holdco may put your ability to claim the CGE in jeopardy. In these cases, subject to your specific circumstances and only after consulting with your tax advisor, you may use either taxable dividends, stock dividends, an estate freeze or some kind of butterfly (a reorganization in which non-qualifying assets are transferred on a tax-free basis to a newly formed corporation, provided that no sale to an arm's length party of the shares of the small business corporation is contemplated at the time of the reorganization) to provide a structure that will allow Opco/Holdco to either constantly remain onside the criteria for the CGE or at least provide a mechanism to stay onside. Based on the recent Federal budget, your advisor may have to concern themselves with your company's safe income, in addition to the punitive rules I noted above. As discussed in the “Should Your Corporation’s Shareholder be a Family Trust instead of a Holding Company?”, where you have children (especially teenage children or older), it will often make sense to “freeze” the current value of your operating company to you and/or your spouse (if they have original ownership in the Opco) and have a family trust (with a holding company as a beneficiary of the family trust) as the parent of Opco. Excluding the cost of undertaking this transaction, this structure can provide for multiplication of the capital gains exemption, income splitting (many parents use this structure to tax effectively pay for University) and creditor protection. The nuance here is that the Holdco is not the parent of Opco, but a beneficiary of the trust and therefore is not an impediment to accessing the CGE in the future. Once again, there are punitive tax rules to be wary of and tax advice is essential. What if I Have a Holdco already in Place? In situations where you already have a Holdco in place with significant assets, your planning is very complicated and fact specific and beyond the scope of this post. However, typically, subject to your specific fact situation, your advisor will likely suggest either a butterfly, freeze transaction, payment of a taxable dividend or use of a stock dividend that will allow for potential access to the CGE in the future. 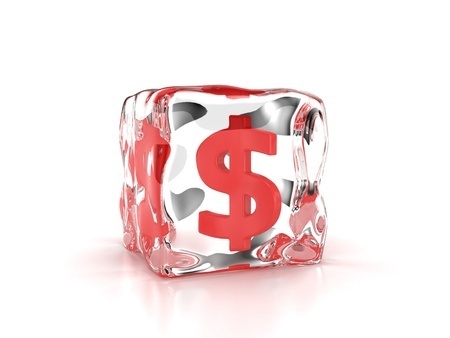 In cases of a freeze, this may mean you will be required hold the shares at least two years to qualify for the CGE. I have attempted in this post to provide a bit of a road map for using a Holdco or a variation of a Holdco. However, this topic is extremely complex and fact specific and as such, I have not even got into the various punitive income tax provisions such as the corporate attribution rules amongst the various other punitive rules. Thus, I cannot stress enough, that this entire blog is simplified and that you should not even consider undertaking any kind of Holdco planning without receiving tax advice from your accountant or tax lawyer.